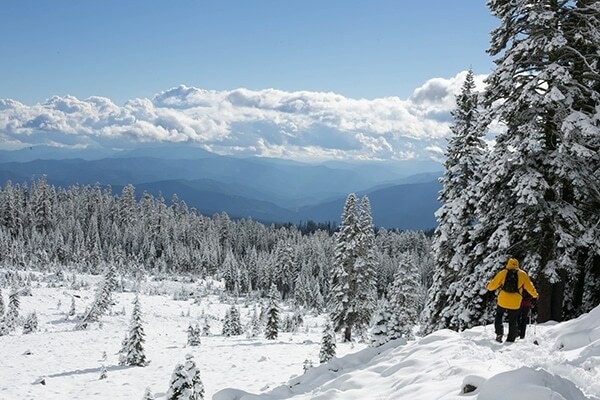 Enjoy the longest running ski season on the east coast of the United States. Maggie Valley is famous for its Cataloochee Ski Area. The ski area opens on the first or second week of November annually.Because of their extensive snow making capabilities they keep snow more base snow on the mountain side then many other resorts. Trails for snow tubing and skiing are offered, as well as lessons, a Kidz Ski & Ride Center, equipment rentals and a gift / retail shop. The Ski Area has 18 slopes and elevations as high as 5,400 feet.The Elevation of the lodge is 4660 ft where live Bluegrass music is offered on Fridays at the on-site bar. 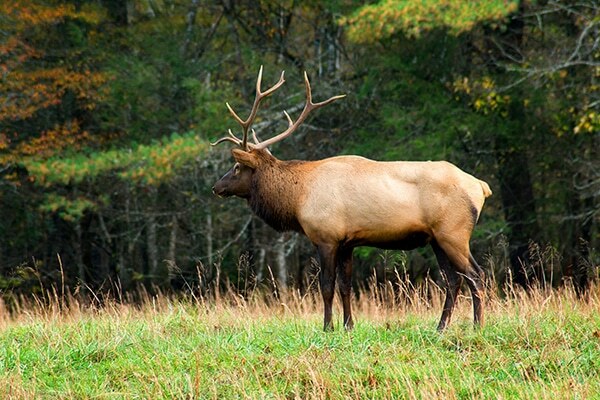 An insider’s tip is to visit Cataloochee during mid-week for the smallest crowd. The Cataloochee Ski Resort slopes and trails are a good mixture of beginner, intermediate and advanced level for skiers. The resort’s fourteen slopes and amazing Cat Cage Terrain Park are all open to those who want to participate in Maggie Valley Snowboarding. You can go down the popular slopes Upper and Lower Omigosh, test your skill on the black diamonds or practice Maggie Valley NC Snowboarding on the many beginner and easy slopes. 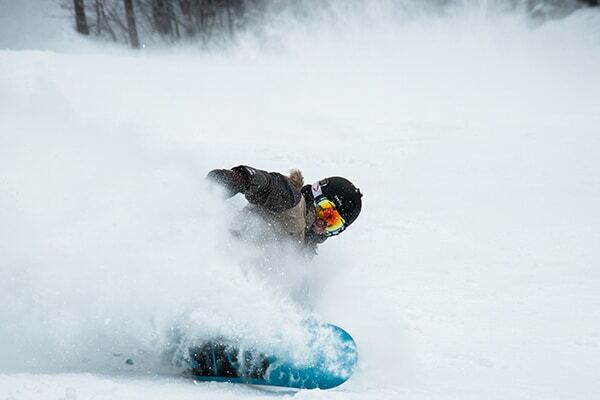 Lift rates: $20-$75; ages 4 and younger ski free with ticketed adult. Adults 65 and over ski free. Number of slopes: Eight easy, seven more difficult and two most difficult; freestyle terrain park. All trails except one lighted for night skiing. Off the slopes: Snow tubing at Tube World in Maggie Valley located four miles from the ski area. Children’s programs: Ski and snowboarding instruction available. Class lessons for ages 8 and up; private lessons for ages 3 and up. Half- and full-day programs available for ages 4-12. 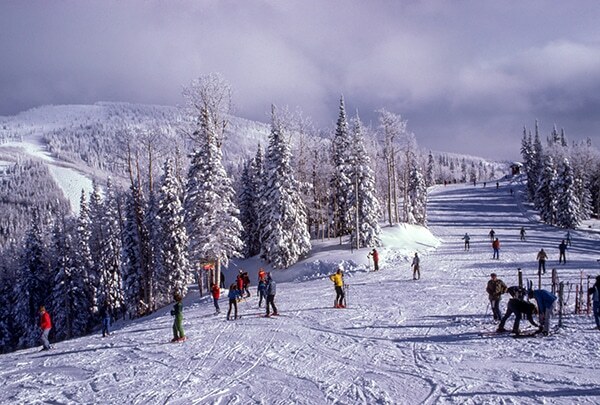 Cataloochee Ski Area is located four miles off U.S. 19 above beautiful Maggie Valley, North Carolina. NOTICE TO OUR GUESTS…please do not use your GPS or IPhone Map app to bring you to the ski area and DO NOT use any mapping that includes the words Scenic View Dr. This is incorrect and a mapping error that takes you up a dead end private road. To get to the ski area, come through the town of Maggie Valley turn onto Fie Top Road (at Ghost Town in the Sky and across from Tube World) and continue up that road for 3 miles and then 1 mile across on Ski Lodge Road to the ski area. Do not turn off of Fie Top Road onto any other road other than Ski Lodge Road. Also, Tube World is located at the base of the mountain in the town of Maggie Valley and not at the ski area. They are situated on Soco Road across from Ghost Town. Also, DO NOT USE DIRECTIONS THAT INCLUDE ROAD NAMES HEMPHILL ROAD OR YELLOW PATCH ROAD.